We reported back in March that Amazon was at last bringing its Kindle Touch e-reader to the UK, with a scheduled release date of April 27th. 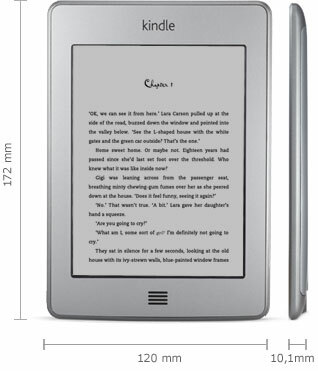 Due to early stock, however, Amazon has chosen to launch its latest e-reader today, with the Touch showing as in stock on the firm's UK website. Some of those who had pre-ordered the Kindle Touch may receive a welcome surprise as they arrive home today, though Amazon states that pre-orders are being fulfilled on a first-come-first-serve basis and so some may have to wait an extra day or two for their device. "Orders from customers worldwide for our new line of electronic ink Kindles have exceeded our expectations," stated Jorrit Van der Meulen, Kindle EU vice president. "We know that UK customers are eager to get their hands on these new Kindles, which is why we're delighted to be able to ship several days earlier than we planned." At the same prices as previously reported, the WiFi only version is currently shipping at £109 with the 3G alternative priced at £169. But still no Kindle Fire and Amazon apps store announcements for the UK. Not impressed Amazon.